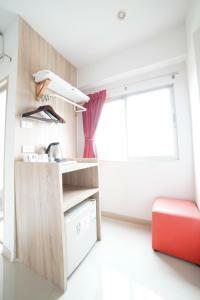 A 30-minute drive away from Don Muang Airport, 48 Ville offers clean and comfortable rooms with air-conditioning and free two bottles of water. 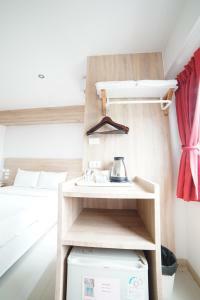 Guests can approach staff at the 24-hour front desk for laundry service. Free private parking is possible on site. The property is a 5-minute drive to Wat Prasriratana Mahathad, Rajabhat Phranakhon University and Lak Si Monument. Government Complex at Chanegwattana is a 10-minute drive away. A 30-minute drive takes guests to Jatujak Weekend Market. Rooms at 48 Ville are fitted with tiled flooring and a private balcony. Each room comes with a flat-screen TV and a refrigerator. 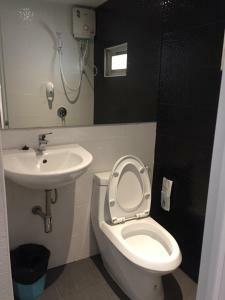 Hot shower facilities are included in an en suite bathroom. Some rooms have a bathtub. Guests can enjoy a variety of Thai dishes at the restaurant open 24 hours daily. Please note that the property requires prepayment to be made via bank transfer within 18:00 hrs of the day prior to the arrival date to secure the reservation. The property will contact you directly after you book to provide further instructions. Please note that 48 Ville Donmuang Airport offers a free pick-up service from Don Muang Airport to the property. The service is available between 17:00 - 23:00 hrs only and must be reserved prior to guest arrival. For arrivals and transfers to the property, guests are advised to wait outside Gate 11 of the Domestic Terminal on the ground floor. Please note that the transfer time between the property and the airport differs due to traffic and routes. Guests are kindly requested to inform the property in advance if they wish to make use of this service. Contact details can be found on the booking confirmation. Air-conditioned room features a private balcony and free two bottles of water. Each room comes with a flat-screen TV and a refrigerator. Hot shower facilities are included in an en suite bathroom. 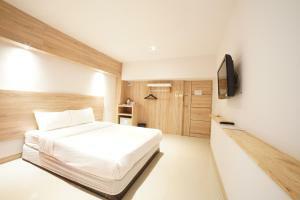 Rate: THB 695.00 ... THB 1400.00; select dates below to get current rates. 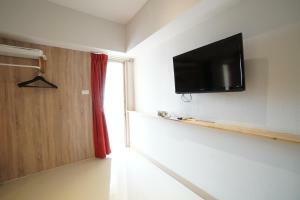 Larger air-conditioned room features a private balcony and free two bottles of water. Each room comes with a flat-screen TV and a refrigerator. 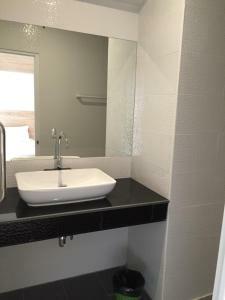 A bathtub is included in an en suite bathroom.